Attracting and retaining the brightest talent available has become the new battleground for investment banks as new compliance obligations and technology developments create warring factions desperate to secure the best personnel possible. Hayley McDowell tells the story behind this method of attack and finds out that a talent shortage could be just on the horizon for major players. The new battleground for investment banks has swiftly become that of attracting and retaining the best talent the industry has to offer and it’s something of an open secret that poaching the best people direct from competitors is often the best tactic. Take Citigroup for example; the US investment bank has recorded a strong performance for H1 2018, with equities up 19% in Q2 compared to the year prior. This could, in part, be attributed to Citi’s strategic moves to strengthen its equities team in recent years, all of which has led to the bank’s structural overhaul in early September as part of its long-term strategy. Citi’s efforts have come at a direct cost to its competitors. 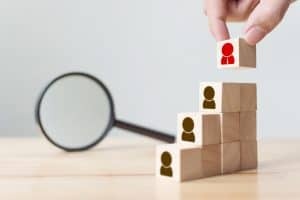 The bank has made a string of hires from its rival Bank of America Merrill Lynch (BAML) this year alone, with equities specialists and sales staff swapping their allegiance across North America, Europe, the Middle East and Africa. Poaching one member of staff from a rival firm can often turn into a full-on raid, according to Oliver Rolfe, founder and CEO of a global executive search firm Spartan International Executive Search, which specialises in global cash equities talent searches for major banks. “There are many, many examples of the fight for talent that we are seeing in the industry at the moment,” Rolfe says. 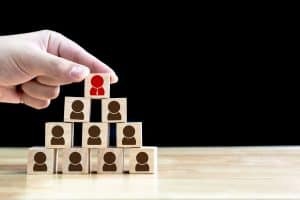 “One financial institution will hire a senior individual in a management role from a major competitor, and shortly afterward, he or she will bring some of their former colleagues to the new team. It makes sense. The fight for talent isn’t just playing out in New York though, with European banks also jostling for a position on the frontline. Credit Suisse has suffered from a targeted offensive from its London counterpart Barclays. Over the past year, Barclays has appointed a global head of equities, a global head of electronic equities, a head of equities derivatives trading and a head of equities for Asia-Pacific, all from Credit Suisse. Institutions such as Barclays and Citi, that have targeted talent at competitor firms, are fairly open about this strategy as internal memos are often sent to various departments detailing how poaching talent from competitors is a process that banks are firmly committed to – although no banks were willing to speak on-record for this feature. While the process is undoubtedly complex and will involve a substantial legal element when it comes to compliance sign-off, the fruitful results cannot be argued with. Not only does this approach swell the ranks of the banks’ own teams, but it also weakens the competition, a factor that shouldn’t be taken lightly as increasing regulatory pressures continue to squeeze profits, which in turn leads to more severe cost-cutting measures just to maintain margins. More often than not, headcount is the first thing to be slashed when major institutions face a dreaded restructure to reduce these escalating costs. “In a MiFID II world, and during the years prior, especially after the crash, the hierarchy has changed significantly,” Rolfe adds. “In terms of workforce, the global financial crisis saw the VP-level or middle tier ultimately eliminated as banks tried to cut costs, meaning that both the junior and senior tier were working with an increased workload. This still remains to a large degree today. For those banks which are sometimes poaching entire teams from competitors, this change in how banking hierarchies operate has worked out as a boon, and not just internally. As Michael Horan, head of trading at Pershing, points out, banks continue to fight to distinguish their services and products from rivals in order to gain new business, but hiring is another strategic method used to win new clients. “For most of the large integrated houses trading liquid stocks, many are alike now in terms of the technology, with very similar algorithmic capabilities and smart order routers,” Horan says. “So those houses are trying to get ahead of each other by hiring the right people to get new clients on board. While the changing regulatory landscape is undoubtedly factoring into banks’ talent attraction and retention strategies, it has occurred in tandem with the emergence of new technologies that are acting as both a weapon for and against those institutions seeking to use them. Artificial intelligence, machine learning, blockchain, predictive analytics, natural language processing and quantum computing are all – to various extents – new factors that banks will be exploring to give them an edge on the battlefield, but without the troops that understand how to build, use and maintain these tools, they remain out of reach. “It can be very complicated, and the process of hiring talent has changed dramatically since the global crash. With big bonuses and the smartest technology minds, investment banking used to be the in place to go but since 2008, pay has been on the slide and bonuses have vanished,” explains John Marks, chief operating officer at real-time trading technology services provider, Adaptive, and former banker at RBS, Credit Suisse and Lehman Brothers. It is a common complaint from senior executives on the sell-side that younger generations of technology talent show little enthusiasm to join the sector when faced with a plethora of more glamorous options. New FinTech startups, emerging digital asset ventures and challenger banks – not to mention the “GAFA” quartet that hoover up young talent – have all put technology at the core of their financial offering and lure graduates with a more exciting career path than a traditional bank could, although many institutions have attempted to tap into this with a softer approach and tailored environments built for this demographic. But it’s not just the younger generation or the often-vilified millennials that are being lured to the burgeoning, non-traditional banking ranks. Alongside headlines of senior departures at major banks, you will often now see the words ‘FinTech’, ‘startup’ or ‘crypto’. It is well-known to most in the industry that their jobs are often at risk of cost-cutting programmes while the job itself can often be demanding, or a starring role working with, or even establishing, a startup developing new technologies will be quite enticing. “Bankers have been hammered for the past decade in the press, which creates an emotional negativity we carry around with us,” Spartan International Executive Search’s Rolfe says. “It can be extremely enticing for somebody working at a tier one institution to join a company that is claiming to be at the forefront of the industry or technology, with an overall positive, forward-thinking message. Furthermore, for those decorated veterans that boast pedigree CVs that contain distinguished service records over many years with the biggest names in the industry, the value of moving between similar competitors may not hold much of an allure. In many ways, these institutions possess very similar cultures, and for those in the autumn years of their careers, there may not be as much incentive to swap one side for another. It’s often the case that personnel from the largest investment banks will move to a smaller firm. Technology vendors, or those developing artificial intelligence for trading operations, want someone with the knowledge and experience that comes with a traditional banking background. Pershing’s Horan warns that a talent shortage is on the horizon and larger players must act now to ensure they don’t get left behind with staff that aren’t able to adapt to the new environment around them. “The writing is on the wall for many who read headlines about major cuts in trading businesses at investment banks,” he says. “And there are not as many graduates looking to come into the industry as there once was, which will have a big impact years down the line. Traditional banks now find themselves at the edge of a new battlefield then, with the threat of increasing costs, declining revenues and shrinking margins, while competitors that have taken the initiative are growing in size and power. This, in turn, may mean more redundancies and senior people forced out of the market – such as the situation currently playing out at Deutsche Bank – and when combined with a fiercer fight for graduates, an awareness of the severe lack of talent will eventually be realised. At that stage, it will become less about the battle for talent, and more about just how bad the rout will turn out to be.